shinto: Cyujyo saku. Rou wazamono cutting test ranking:Mino. Habaki :On the silver single habaki. 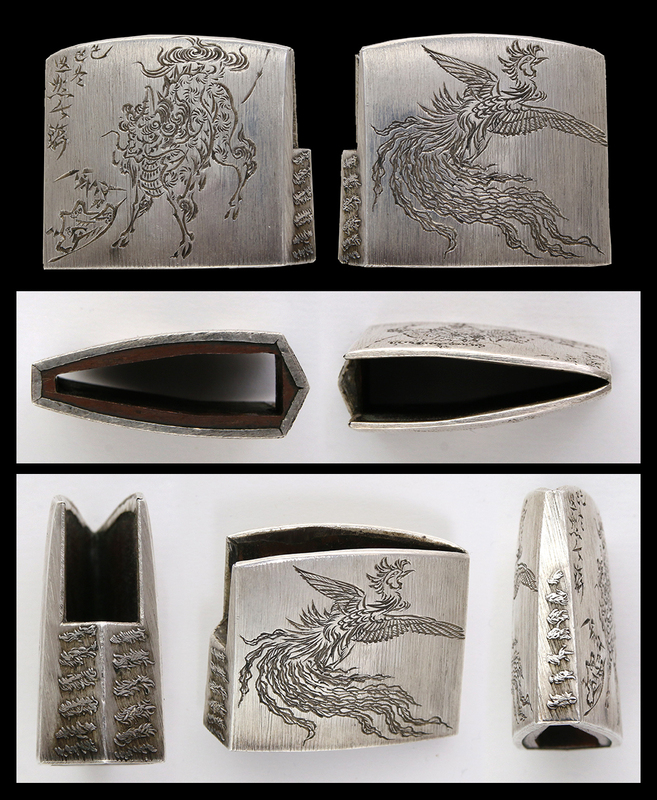 Chinese phoenix is engraved. Blade length :　45.1　cm or 17.76inches. Width at the hamachi :3.12 cm or 1.23inches. Width at the Kissaki : 2.4cm or 0.945 inches. Kasane :0.71 cm or 0.28 inches. Era : Edo Genna era. with long kissaki nice looking wakizashi. Jigane :Koitame hada well grained with jinie attach blackishi jigane. Hamon :Niedeki gunome midare with ashi and Yo work. Boshi is Midarekomi and turns back. Busyu district and made swords. sometimes moved to Edo and made swords at that place. He was making Wakizashi and Tanto mainly and few swords. Saya :brwn red color kawarinurri saya. Tsuba :On the ruound shape iron sukashi tsuba. Akasaka school. Menuki : Shells are engraved by syakudo playre with gold color. shells are engraved with gold color. 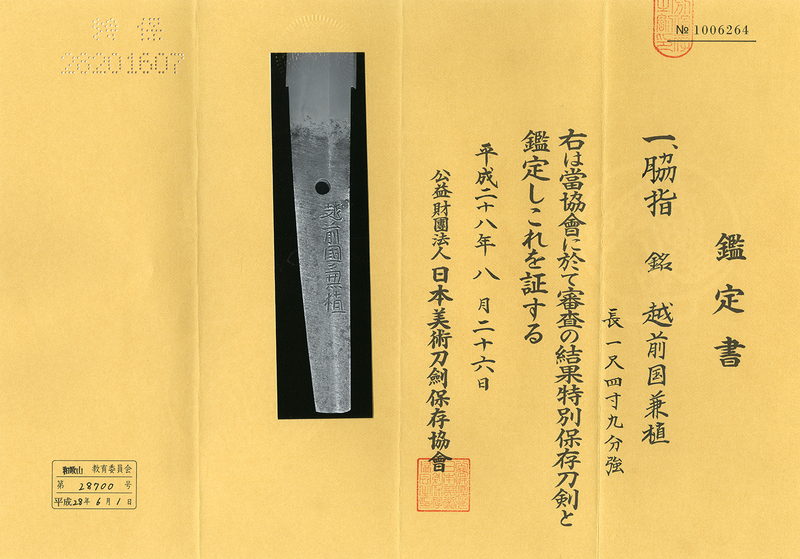 Kozuka:On the syakudo nanako plate, shells are engraved with gold color.